Meghan White of Specialty Technical Consultants presents the first in a series of complimentary eBooks on High Hazard Operations. 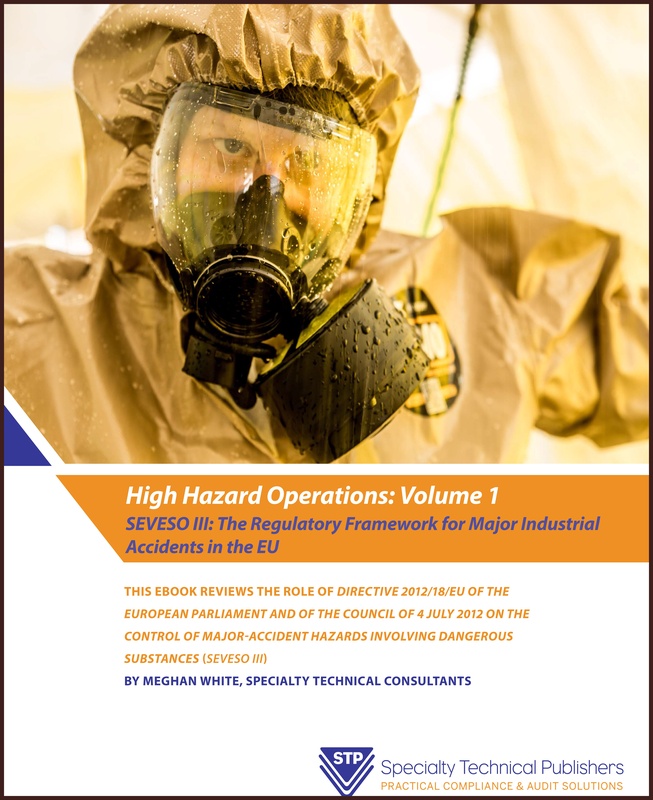 This first volume focuses on Directive 2012/18/EU of the EU and of the Council of 4 July 2012 on the Control of Major Accident Hazards Involving Dangerous Substances (Seveso III) and provides a comprehensive review of the EU's requirements for preventing major industrial accidents involving dangerous substances. Download now by completing the form to the right. Complementary initiatives in the EU. Management of high hazard operations around the world. Extensive sources of further information. This eBook includes comprehensive legislation resources for the EU, the UK and worldwide. Voume 2 will follow shortly and will focus on process safety management of highly hazardous chemicals. Specifically on how 29 CFR 1910.119 in the United States aligns with requirements around the world. We hope you find the information useful and thank you for your interest.